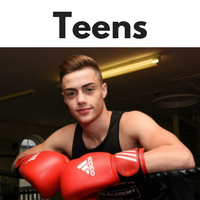 Our Teens Program is designed to teach teenagers valuable fighting and self-defense skills. You'll see their self-discipline and respect for others grow. They learn important life lessons like commitment, dedication, and loyalty. 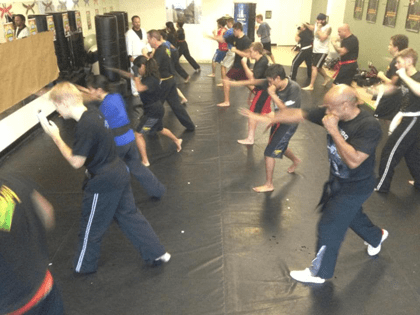 This is a great outlet for a teenager's energies, as they learn the skills of Muay Thai Kickboxing, Krav Maga, Self-defense, Brazilian Jiu Jitsu, Judo, and Boxing. Impact's adult classes will get you in great physical condition, build your confidence, and beat up your stress. These are just some of the benefits you'll achieve in our Impact South Austin Krav Maga, Muay Thai Kickboxing, and Bushidokan Karate training. You will improve both physically and mentally, while you learn the most effective Krav Maga self-defense, and elite striker and fighting skills. Our martial arts fitness training helps you use these skills to achieve your own personal goals! Our Teens Program teaches teenagers valuable self-defense skills, and the Confidence that comes with it. We build their self-discipline, respect for others, commitment, dedication and loyalty. This is a great outlet for a teenager’s energies. In their Krav Maga in Austin classes, they learn the skills of Muay Thai Kickboxing, Krav Maga Self-defense, Brazilian Jiu Jitsu, Judo, and Boxing. Voted "Best in Austin" for 5 years! 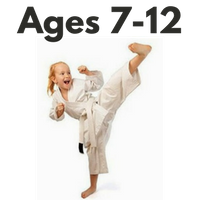 In our South Austin martial arts classes, students learn a practical and realistic MMA (Mixed Martial Arts) Curriculum. Each age group and level of student - learns skills and lessons specialized for them. 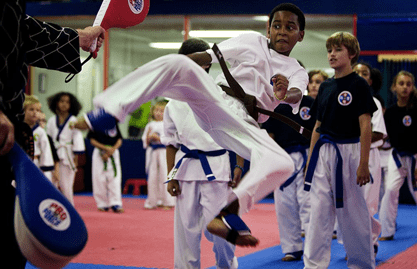 Our Kids Martial Arts classes are structured and disciplined, yet fun and high-energy. Teen and Adult Martial Arts students get in great shape, learn the most realistic and effective fighting skills, and make new friends. Students learn Self-defense and Krav Maga skills that quickly build their Self-confidence. You'll benefit from our specialized, exciting, effective, and fun classes. Since 1984 (30+ years now!) , we have had a solid record for turning our students into confident, focused, peer pressure proof, drug free, and secure individuals – Winners in Life. 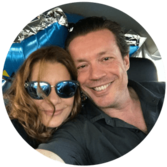 See our reviews - our Members and families say it's the Focus, Confidence, and Self-discipline you gain that improves your life. "an outstanding experience for our whole family!" You can also call us 512-999-3002 with any questions. 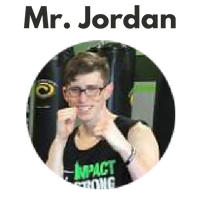 "Hello, I’m Jordan Doss, the Head Instructor at Impact Martial Arts. 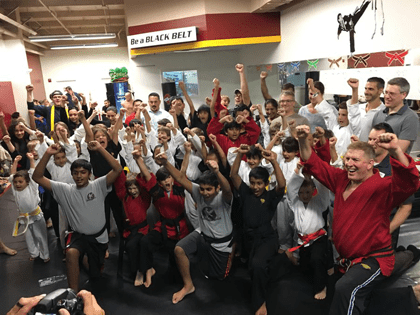 Welcome to our Martial Arts Academy! If you have any questions about classes and training, I am glad to help you and answer any questions you may have. You can reach me at 512-999-3002. 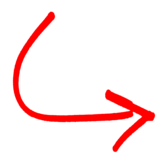 **Impact Martial Arts Austin, Texas is one of America's premier martial arts schools." - A.K.B.B.A. We teach our martial arts classes in a safe and controlled environment with the Str ucture, Discipline, and Respect of the Traditional Martial Arts. We have age appropriate youth classes that are designed specifically for their age group. 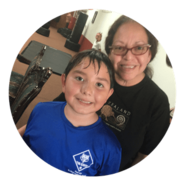 Our South Austin karate classes are organized, focused, and exciting! Through Goal Setting and our system of measured progress , your child will build new confidence and feel great about themselves! Focus, Self-Control, Fun & New Confidence! Children age students learn an exciting and dynamic Martial Arts Curriculum that will develop in them new Focus and Self-discipline. They will develop new skills that build more Self-control, Confidence, and a Respectful attitude - not just in MMA classes, but also at home and in school. One of the great things about learning the martial arts - is that you can start at any age - and greatly benefit...and be really good at it! 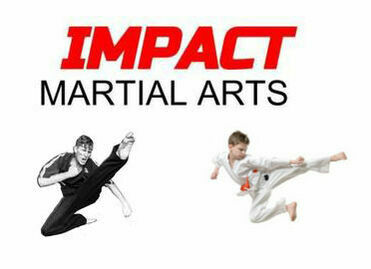 The martial arts you learn at Impact Martial Arts includes Kickboxing, Muay Thai, and Krav Maga. Our teen and adult students learn a practical and effective MMA (Mixed Martial Arts) curriculum. You will build your level of fitness, and increase your confidence. Our martial arts classes build you physically and mentally, and help guide you to achieving your own personal goals. We have students from South Austin, Circle C. Manchaca, Dripping Springs, and Buda who train with us. *Specialized Training - What age group for you? "Voted Austin's Best" Kids Karate classes, Teen & Adult martial arts, Krav Maga Self-Defense, and Kickboxing. Impact Martial Arts is located next to HEB in South Austin. 5x Voted "Best Training in Austin, TX"
Our kids martial arts classes are taught in a safe and and controlled environment with the Structure, Discipline, and Respect of the Traditional Martial Arts. Our age appropriate children's classes are structured, focused, fun and exciting! 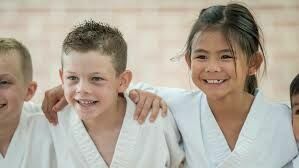 Through our Goal Setting and measured Karate accomplishments, your child will build confidence that will last a lifetime. ...this has been life changing for our daughter." In learning the Martial Arts, students of all ages can build Focus, Self-discipline, and true Confidence. Training in our South Austin Martial Arts classes will you stay safe, get in great shape, while developing the positive qualities and life skills of a Black Belt martial artist. And this is true for students of all ages. We do this by stressing the discipline of the traditional martial arts in our classes, while teaching our students the most practical and effective self-defense styles of the martial arts. Build more focus and confidence , while you learn a mix of the top self-defense systems - Krav Maga, Muay Thai, Kickboxing, JiuJitsu, and Hapkido. Best of all, you'll build an Indomitable Spirit, a confidence that improves all areas of your life. 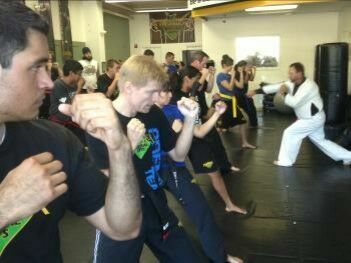 We have a safe and well equipped facility with two of America’s top martial arts Instructors. Every student and family member at Impact Martial Arts is treated with kindness , and and respect. Classes are taught with the discipline and philosophy of the traditional martial arts. We are a family martial arts school with students of all ages, shapes, sizes, and skill levels training with us. The values and example we convey to our students, lead to many successes outside the martial arts studio - in your personal relationships, academics, career success, and in all areas of your life. BENEFIT FROM THE DISCIPLINE OF THE MARTIAL ARTS! 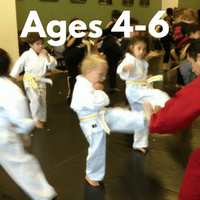 What age to start martial arts? Your child can benefit greatly from our specialized classes and training for kids ages 4-6 and 7-12. You'll see them develop more Focus, a Respectful attitude, Coordination and Self-Confidence. They learn an exciting and dynamic Martial Arts Curriculum, with structured and disciplined classes. Watch them develop new Focus and Self-discipline. This will benefit your child in many areas of their lives - not just at karate, but at home, and in school. 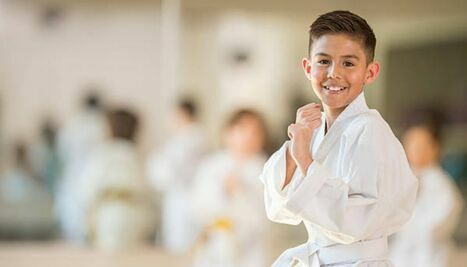 Our kids karate classes are taught in a safe and controlled environment with the Structure, Discipline, and Respect of the Traditional Martial Arts. Our students learn these skills and knowledge as part of their regular classes. See them build new confidence! This will also give you as a parent, the confidence and assurance that your child will be able to take care of themselves and stay safe. These youth classes are designed specifically for both their age group and skill level. 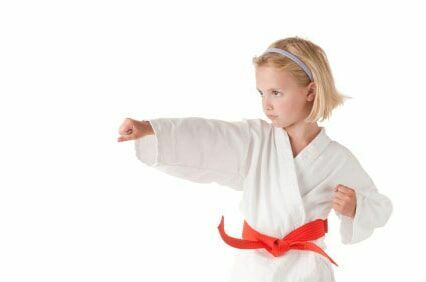 Our South Austin karate classes are also organized, focused, and exciting! 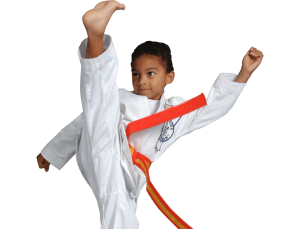 Through our Goal Setting Belt System, and measured Karate accomplishments, your child will build more Self-control, Confidence, and a Respectful attitude - not just in the karate school, but also at home and in school. You can start with a free trial class. Book a class time and see if we're right for you. Schedule a free first class. You’ll get to meet the Instructors, talk with other students and parents, train in class, and have all your questions answered. 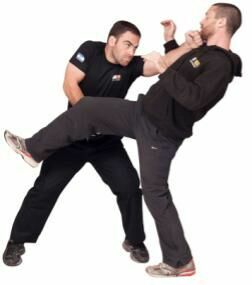 Our affordable monthly fee includes top Impact Martial Arts Training with Certified Instructors. 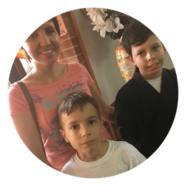 "Both my two children showed an interest in Kids Karate, so I began looking for martial arts near me. That was three years ago, and both are now advanced Belts. 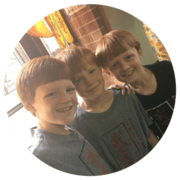 They love the Instructors and training at Impact Martial Arts - and I workout at Impact Strong Kickboxing classes - this has been an outstanding experience for our whole family!" This is just an outstanding school! I wanted to find the best martial arts classes near me, and I’m glad I did my homework. We felt right at home, right away. We've been going for over three years now, and hate having to miss a single class! We have learned so much from Master Doss and the team, real fighting skills, self-defense, the best shape I've ever been in(! ), and it has just added so much positive in our lives. Five stars! As a 20+ year Martial artist. I wish I had not waited so long to step into a proper Karate School. This school is the best I have ever attended. They know how to teach the benefits of martial arts for kids, and they have a kid program that is so much better than where the kids were before. They get that they are teaching kids, not adults. Used to have to force the kids to go to old school. Now they want to go everyday! My son is 5 years old and he absolutely loves his karate class with Impact Martial Arts. 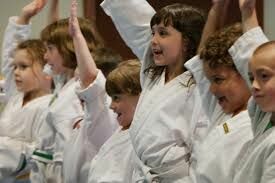 I wasn’t sure what age to start martial arts - they have a special kids karate class for ages 4-6 called Little Champions. Mr. Doss is an amazing instructor. He keeps the kids motivated and teaches them discipline and respect while having a blast in a fun class. They offer classes every day for 30 minutes which makes it super convenient for working moms. They also offer you the choice to workout next door at Impact Strong while your kid is in class. I have tried a couple other studios and activities for my son and this place is for sure one of a kind. I would say they have the best martial arts classes in Austin. I highly recommend it! My son loves attending his Karate classes. He's gained a lot of confidence with the helps of his peers and instructors. He's technique has also improved with the dedication Impact provides. I originally just looked for martial arts classes for kids near me. It’s definitely worth going the extra mile for us. I highly recommend this facility before looking anywhere else. Start with a Free Trial offer! Help your child be more Focused and Confident!